Joining Lloyds Banking Group in January 2017, Ruth is an effective and empowering leader who brings a wealth of international experience at management board level in the fields of intelligence, cyber crime, security risk management and cyber security. Ruth was a Director of Cyber Security, KPMG, developing and implementing cyber risk governance frameworks within financial services organisations including investment banking, asset management and insurance. Delivered a flagship global service for a cyber security consultancy, generating revenues of $3m per annum and a global team of 100. She has been the Head of Intelligence for, Child Exploitation and Online Protection Centre, Serious Organised Crime Agency. Delivering national intelligence capability within CEOP that won international credit and acclaim. Delivered the first ever strategic threat assessment on child abuse in the online environment. Ruth also worked as an Army Officer, Intelligence Corps Establishing and leading Joint Rapid Reaction Capability to deliver strategic intelligence team in challenging operational environment. 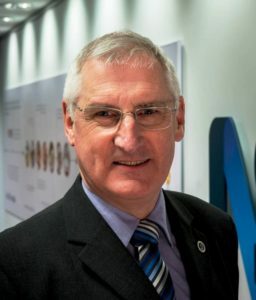 In 2015, Alex Carmichael took over from Geoff Tate as the chief executive of SSAIB – the UK and Ireland’s leading certification body for organisations providing security systems and services, fire detection and alarm systems and manned services – which now has some 1800 registered firms. Alex joined SSAIB from the British Security Industry Association (BSIA,) where he was director of technical services and exports. His duties on various UK and European committees are helped by his strong technical background and close working relationship with a variety of industry organisations. David Clark CPP PCI PSP has been in the security industry for 21 years since leaving the army. He has held a number of senior security positions both within corporate organisations and in the private sector, he is currently Head of Security for the Francis Crick Institute, a brand new globally renowned unique scientific research centre in London which is due to open in early 2016. Previously, David has led on a number of Policing and Counter Terrorism initiatives in London’s South Bank and in recent years has designed and implemented executive protection and physical security programs for major companies in the UK and overseas. 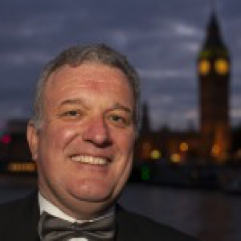 He is Chair of ASIS UK Chapter 208, a member of the CSO Roundtable, AUCSO, London First Advisory Panel, Co-Chair of the Project Griffin Practitioners Board and Chair of the Security Commonwealth on behalf of ASIS UK. Joe is a Registered Independent Security Consultant and the owner/director of Praemunitus Limited Intelligence & Risk consultancy based in London. Joe is Chairman of the Association of Security Consultants (ASC), the representative body for independent security consultancy in the UK. In 2017 he was elected Deputy of the Security Commonwealth representing over 40 UK security trade and industry associations. He is also an Ambassador for the London Chamber of Commerce and a member of its Defence & Security Group. As a former senior police officer, Joe has been heavily engaged in Security & Justice Capacity Building on behalf of UK, US and the EU in Eastern and Western Europe, The Balkans and East Africa. His work in Somaliland (2011 – 2016) won two UK Outstanding Security Performance Awards (OSPAs) in 2017 for ‘Outstanding Security Consultant’ and Outstanding Investigator’. Joe is currently seconded, as a member of the UK Government Conflict Stabilisation Group, as the Senior Adviser to the Global Counter Terrorism Forum on Terrorist Investigations, working out of the Institute of Justice and the Rule of Law in Malta. Jane is Chair of the International Professional Security Association (IPSA), which represents individuals and companies working in the security industry both in the UK and globally. Jane joined Sodexo in 1982 as a Management Trainee and has successfully worked in various management roles and the delivery of systems training. Jane joined Simon Pears, Head of Security for UK and Ireland in October 2007 to assist with the development of security services and the SIA licensing function. Jane has since successfully completed both the City and Guilds 7303 and 1886 training qualifications and is now also responsible for security training and development. Jane has won the prestigious Women in Security Industry Award 2013 for encouraging more women into the security industry. 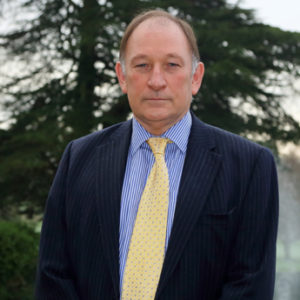 Richard Jenkins was appointed in March 2014 as CEO at NSI – National Security Inspectorate. As a specialist certification body it maintains a register of over 1800 Approved Companies with NSI Gold approval the most widely recognised and highest benchmark of approval in the Security Systems, Guarding Services and Fire Safety sectors. Integrating Quality Management (BS EN ISO 9001) with Product/Services standards and codes of practice and NSI quality schedules, NSI Gold is a unique approach realising synergies for approved companies – and maximising inspection regime focus – in the delivery of the highest standards of security and safety in practise. Richard’s experience – a multi-disciplined career in the private sector in the UK and EMEA., including sales, retail and wholesale distribution, manufacturing and international logistics and systems, with organisations including IKEA, Chubb, Steelcase and Caterpillar, has brought a strong service ethos, with determination to delivery transparency and clarity, in the firm interest of supporting high standards of professionalism and competence in the sector. Peter completed a 22 year career in the Royal Military Police in 2010, accumulating 13 years of operational duties. Since leaving the Army, he has corporate security risk experience in several sectors, including Manufacturing, Banking and Telecommunications/Technology including elements of the critical national infrastructure (CNI). Whilst leading corporate security risk, Peter has also led on business continuity, resilience, crisis management, HSEQ and areas of anti-financial crime. Peter also holds a number of senior voluntary positions in the area of security and resilience. 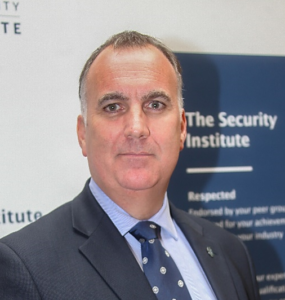 Peter is Deputy Chairman and Fellow of the Security Institute, a Liveryman of the Worshipful Company of Security Professionals, a Trustee of the Cross-sector Safety and Security Communications (CSSC) and Committee member of the City of London Crime Prevention Association. In addition, he is co-chair of the cyber & finance working group of the NCTPHQ ‘Step Change’ programme and represents the business sector for the London Resilience Forum in the area of cyber resilience. Bob is founder of RFMSolutions, a Security Consultant with over 40 years’ experience working at senior executive level on a global scale. Extensive Strategic and Operational experience coupled with Project and Budget responsibility plus a Facilities Management and I.T. background have enabled him to provide many a cohesive security solution, providing demonstrable return to the Corporate table. Bob has given presentations and has written articles both in Europe and the US on Security strategy and implementation. Bob is a Chartered Security Professional (CSyP); Certified Protection Professional (CPP); Director & Honorary Treasurer of the Association of Security Consultants (RISC MASC); Fellow of the Security Institute (FSyI); holding Diplomas in Security and Project Management. A founder and past Chairman of the Tyco C-CURE User Group (EMEA), and the Honeywell HIS User Group (EMEA), he is a Justice of the Peace (JP). Guy is Director, Risk & Operations for Suntory and Chairs the Food & Drink Security Association. A subject matter expert on Single-Issue Extremism/ Activism, he lectures on the threat posed by extremism and has delivered numerous presentations to international law enforcement, industry, academic & government audiences. 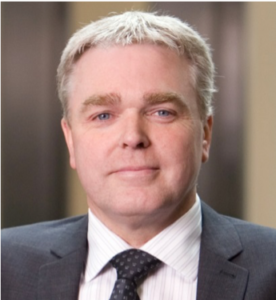 Chair of the UK Pharmaceutical Industry Security Forum 2009 -2014, he worked closely to develop effective, unprecedented working relationships with industrial, academic and Government sectors, brokering a number of Information Sharing agreements. He was the Industry Sector lead, Pharmaceutical & Research sector, for the Cross Safety & Security Cascade during the 2012 Olympics. Sarb is the CTO & CISO at Virtually Informed, and has previously been a CTO & CISO for the Noord Group. 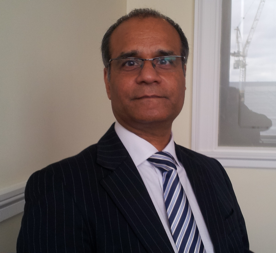 He has previous worked as a consultant covering most issues in risk and security. Sarb’s contributions to the industry include the London Chamber of Commerce and Industry Defence and Security Committee and its Cybersecurity working group. Other contributions include: Past President of the ISACA London Chapter, Chair of ISACA International GRA Region 3 Sub-Committee, Chair of ISACA International GRA Committee, ISSA UK Advisory Group member, InfoSecurity Magazine Editorial Group member. Sarb has also served on several Security Standards Groups, and continues to write for several publications and speak at risk and security events around the world. Emma Shaw MBA CSyP FSyl is a member of the Management Board of The Defence Industry Security Association and is the Southern Regional Chair. DISA acts as a collective representative body on behalf of industry working in the government environment on security issues, with particular regard to interaction with policy makers and enforcers. It fosters good relationships between HM Government departments and other Agencies, similar organisations, and industry. A key function of DISA is to consider strategic security issues, and campaign with HMG security departments to improve the security processes affecting our business. The membership is drawn from individuals responsible for advising management on the implications and contractual obligations required by contracts involving protectively marked material, and education of company personnel on security procedures and practices. DISA provide cost effective training courses, which have been developed over many years. Crammed with practical advice, they are well respected within industry for their technical content. Elizabeth has extensive experience working in the security sector. 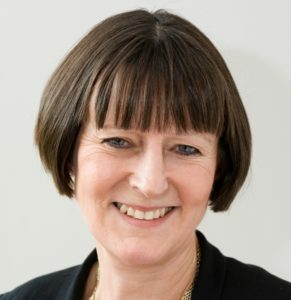 Her achievements include; being Chairman of Evidence Talks Ltd, winning the National First Woman of Science & Technology 2017, winning 2 Milton Keynes (MK) Women leaders Awards 2016 for Science & Technology & Business Services, being Vice President of Security for A|D|S Aerospace, Defence and Security industry of the UK and being the Chairman of the Security Sector Board. 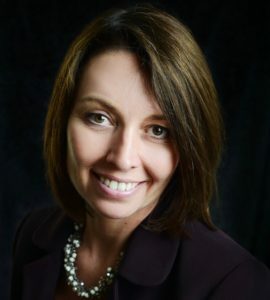 She is also a Member of the Security & Resilience Growth Partnership, aPast Chairman of the Covert Technical Supplier Forum of the UK, Director of the CIC and charity Works for Us and Member of MK Business Leaders. 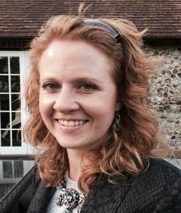 She is currently mentoring 2 start-up companies In MK and is a joint organiser for the STEM festival In MK. She is a committee member for Women in STEM and Professional Development with MK Council, a past committee member of F3 – First Forensic Forum of the UK and was previously Co-Founder and Board Director for Biztech in Milton Keynes. 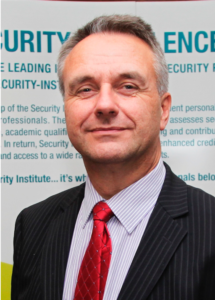 Martin Smith is the Founder and Chairman, The Security Company (International) Ltd (TSC) and The Security Awareness Special Interest Group (SASIG). 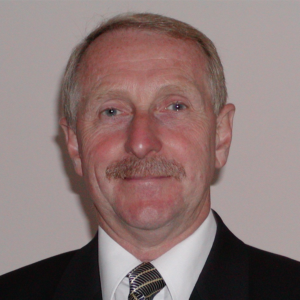 With nearly 40 years’ experience in the security and crime prevention industries, Martin Smith is a well-known and highly respected personality in the security industry. He is an established and successful businessman, philanthropist, communicator, visionary, and internationally recognised author and speaker. Martin gained his degree in behavioural psychology before spending 15 years as a commissioned officer in the RAF employed on the whole range of policing and security duties. After being awarded the MBE for this work, he left the Service to establish a second career in the commercial sector. In 1997 he founded TSC to assist organisations in improving their security cultures and staff awareness. In 2004 he founded the SASIG, a free networking forum to improve trust online. Martin is a Fellow of The Security Institute, an active member of both ASIS International and the Information Assurance Advisory Council, and a member of the Independent Advisory Panel of the Office for Nuclear Regulation. Dr. Emmeline Taylor is a criminologist in the Department of Sociology at City, University of London. She has completed empirical research on a number of topics including; surveillance technologies, armed robbery, domestic burglary, retail crime, crime and security in education, and several evaluations of criminal justice initiatives in England and Australia. Dr Taylor has published extensively across these fields, including the books Surveillance Schools (Palgrave, 2013), Surveillance Futures (Routledge, 2017, w/T. Rooney), The International Handbook of School Discipline, Surveillance, and Social Control (Palgrave, forthcoming, w/J Deakin and A. Kupchik), and Such is Life: Armed Robbery, Cultural Mythscapes and Affective Transgression (forthcoming). Regularly consulted on a range of issues, Emmeline has a strong and ongoing media presence internationally. She has authored opinion pieces in national newspapers, as well as having her work cited in high profile publications such as The Guardian and The Telegraph. 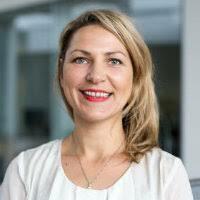 Emmeline is Co-Director of the Surveillance Studies Network, and was formerly the elected state representative for the Australia and New Zealand Society of Criminology (ANZSOC). Now based in London, she has previously lived and worked in Singapore and Australia. 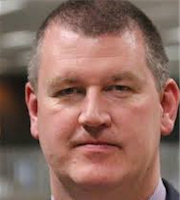 Martin Watson is the Operations Director for Mitie Fire & Security Systems. Martin joined Mitie in March 2015 as Head of Operations for their Security Systems business and is now responsible for their combined electronic Fire & Security business unit. An effective Operation executive and people leader with a commanding track record of driving complex and difficult change in demanding operational environments. 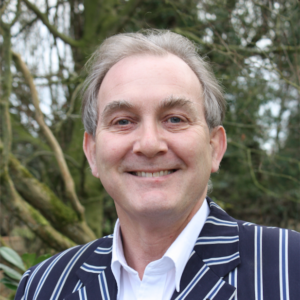 Martin holds a depth of expertise from his experience in business management and development. Aware of the latest people management practices, technical advances and technology changes leading to informed business strategies. During his career, Martin has acquired extensive experience working for leading global fire & security, technology and engineering providers across UK and EMEA regions. Martin is an Operating Board Member and Chair of the Security Systems Section for the British Security Industry Association (BSIA). Andy Williams CPP FSyI, is Head of Corporate Security at Japanese Banking giant Nomura. Originally a Police Officer in London, an injury on duty brought his career to a premature halt in 1995. Once recovered, Andy spent just under three years working for the NHS in Risk Management posts, before moving into the private security sector, where he held several senior appointments, before joining Nomura in 2009. 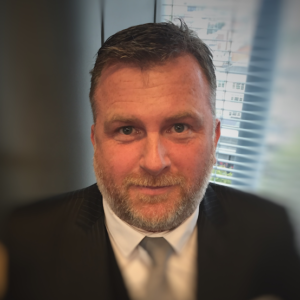 In addition to his day job, Andy was Chairman of the UK Chapter of ASIS International until December 2015, when he stood down to progress into a European leadership role, as Assistant Regional Vice President, but remains a Director of the UK Chapter. He has been Vice Chairman of the International Counter Terrorism network TINYg since September 2010, a Fellow of the Security Institute since 2012 and until some health issues arose in 2014, was Middle Warden of the Worshipful Company of Security Professionals. A role that he hopes to return to as soon as possible. Andy has written several articles for international security publications and has been interviewed on television in relation to security issues.